Should I get OEM rotors? Uuuhhh, Chris B. That SAE paper you quoted was a research effort into brake squeal and noise, not pad bite. My bad! Apparently, I have waaayyy too much data lying around! That is a good paper too, but not relevant to this discussion. Try 2006-01-0691, titled "The Effect of Rotor Crossdrilling on Brake Performance" by Antanaitis and Rifici (GM). Do you actually have these papers or are you doing a search on sae.org and then throwing some of the search results out here? Come by my desk and you can look over my copies. If you're not in SoCal, the papers are available for purchase. 8 to 20% improvement in rotor temperature depending on vehicle speed, mostly on the front rotors. 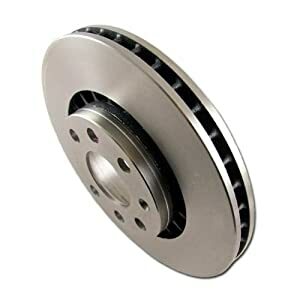 No difference in fade and performance except at high operating temps the linings wear faster with cross drilled rotors. Cross drilled showed greater deceleration at low pedal pressures but no difference at high pedal pressures. More pedal travel required to achieve the same level of deceleration due to increased compliance in the pad material and cross drilled rotors. So, is that saying that there is pretty much no point to drilling or slotting the rotors? With the exception of cooling? I'm assuming that's for the slotting, not drilling? Don't buy stoptech, R1concepts 1 piece rotors. All they do is buy Centric Premium rotors for $20-30, and put useless slots / holes in them, and sell them for 400% markup. Stoptech, and R1concept rotors are just Centric Premium blank rotors. The people with the stoptech or r1concept slotted / drilled rotors just paid an extra $50 PER ROTOR for some useless slots / drilled holes. BEST KEPT SECRET! Centric Premium Rotors are top notch and used by others under another name for +$$$! You can also get Slotted only here..Rock Auto only has Slotted AND Drilled Combos. Last edited by ronn1; 03-21-2012 at 09:06 PM. Subscribing to this thread solely to find this link in a year or so when I need to buy rotors. I was told by a Vendor on here about two years ago that almost every manufacturer buys the same rotors, slaps their name on them, and jacks the price up. You guys could have very well made my day. EBC blanks or Centric blanks, premium, I guess? I'm also going to note that the 121 centric part number is for their standard C-Tec rotors, not their premium. I check the centric site and using their catalogue for the 350, the listing shows as premium, but the part number (and link) goes straight to their c-tek standard replacements. Last edited by F2CMaDMaXX; 03-22-2012 at 10:42 AM. Get the premium. It has anti rust coat on hats and inner vains. Otherwise, your rotors will look like CHIT with rust. I noticed that feature on them, looks nice, although we don't get salt here, things still rust eventually. They'd have been a God-send in England, 350z stock exhausts 'rot' off the car in about 4 years. Also, Centric part number for the premiums is 120.42074 - their site will allow that number to show along with the 121 number, making it appear that the 121 number is what you want, but they're just generic OE replacements. Agree. Put them on a 350Z. Performance is as good as OEM at half the price. Just an FYI as well, Power Slot and StopTech are divisions of Centric Parts. Classed as performance and ultra performance, respectively. Quick Reply: Should I get OEM rotors?